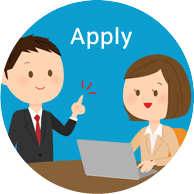 Applications for Global Classmates are accepted starting in January for schools in Japan and March for schools in the U.S. After we receive your application, a KAC representative will contact you to go over your application and guide you through the next steps. 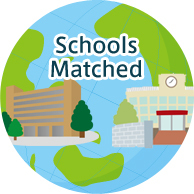 After a thorough review of the applications, schools are selected by KAC to participate in the Global Classmates program and each applicant is notified about their participation. 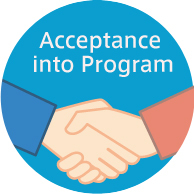 Once you are accepted to the program, KAC will match you with a partner school and teacher. 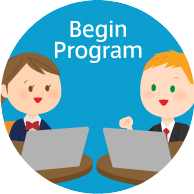 Following the lead of your Global Classmates Coordinator who will be guiding you throughout the program, you will go through training and meet with your partner teacher via a video conference session to greet and come up with the activity plan. Your students will begin the exchange with their partner classmates and start learning together! 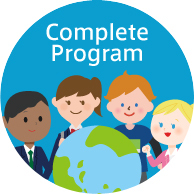 You will communicate with your partner teacher and Global Classmates Coordinator regularly while students will spend at least one hour per week on the program, commenting and posting photos/videos. With the Japanese school year coming to an end, the program will wrap up. Your students will have come out of the program with confidence in communicating in a foreign language, cultural awareness and new friends across the ocean. Guiding students through online language and cultural exchange is a new way of teaching. For most of our teachers, this is new and unfamiliar territory. KAC ensures a successful exchange program by assigning a Global Classmates Coordinator (GCC) to each school pair. GCCs provide teachers support both in English and Japanese, guiding them through everything from how to use the e-classroom to planning activities throughout the program. 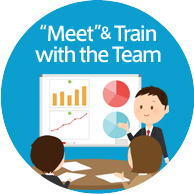 They also work with the teachers to customize the program to meet the needs of both teachers and help all students get the most out of the exchange.